Your Dentist in Fort Worth Says Oral Health is Total Health! When you think of oral health, it’s normal to view it as simply keeping clean teeth and gums. It’s much more, though. We could say that your mouth is the window into the health of the rest of your body, so the importance of keeping it clean and healthy becomes exponentially greater. 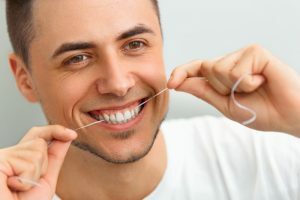 Learn what you can do to enhance your overall health through enhanced dental care as you read on. Comments Off on Your Dentist in Fort Worth Says Oral Health is Total Health! 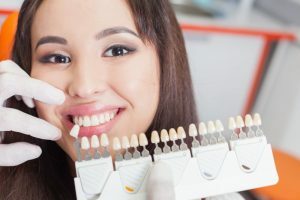 We all know we should be visiting our dentist for regular checkups, but sometimes it’s easy to lose sight of what exactly our dentist does when we visit them. They repair cavities found in our teeth, help us whiten our teeth, restore our smile, and improve our overall quality of life by catching early signs of disease. When coupled with preventive care, these regular checkups can mean the difference between a healthy future and expensive, necessary, emergency care. That’s why every time you visit your dentist, they’ll perform an oral cancer screening in Fort Worth. In today’s post, we’ll be discussing the proper measures to take when practicing preventive care and what your dentist is looking for during your exam. Your Cosmetic Dentist in Fort Worth Gives the Best Gift! One of the best gifts you can give yourself this holiday season is an improved smile that you can be confident in. Even if you agree, you may be thinking, “I can’t complete all that dental work within the holiday season.” The truth is that you can! With the help of your cosmetic dentist in Fort Worth, we can make all your smile dreams come true! Comments Off on Your Cosmetic Dentist in Fort Worth Gives the Best Gift! Do you have unsurmountable, unexplained fatigue? Do you get complaints of snoring loudly from your partner? If these symptoms resonate with you, you may have obstructive sleep apnea. These symptoms may sound non-threatening, but the long-term consequences can be deadly! 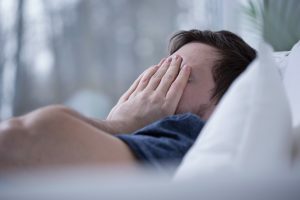 This blog post is for patients who may have sleep apnea in Fort Worth and need help understanding the best ways to treat it. Sleep Apnea in Fort Worth Causing a Stir in the U.S. If you snore excessively at night or wake frequently, you probably do not sleep soundly, which may be due to an underlying condition known as sleep apnea. This disorder is not only decreasing your quality of life, but creating quite the stir throughout the United States. It causes numerous interruptions in breathing frequently throughout the night as the air passages collapse, causing an obstruction. If you do not get treatment for sleep apnea in Fort Worth, you are not only compromising your quality of life, but your safety as well. Comments Off on Sleep Apnea in Fort Worth Causing a Stir in the U.S.
Dr. Renee Corbitt and her Fort Worth dental team would like to answer your question with another question, “Did you know that poor oral health in the US was called an epidemic during WWI?” It was! In fact, this serious issue kept countless potential soldiers from serving, and caused dentists to shift focus from repairing damage to preventing oral health issues. Tasked with fixing the dental health epidemic, dentists at the time determined visiting the dentist regularly, twice a year, was the best way to improve the nation’s oral health. 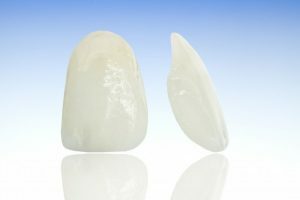 Today, research findings from the American Dental Association have confirmed this initial suggestion, and more patients than ever are able to maintain a whole, flawless smile for life. If you want to keep your family smiling year after year, we encourage visiting our team at least every six months. Whether you’ve always kept up with your regular appointments or it’s been more than a decade since your last dental exam, our supportive family dentist and team are here to help. Call to schedule an appointment for yourself and every member of your family. Our Forth Worth dental office welcomes patients from all surrounding communities. 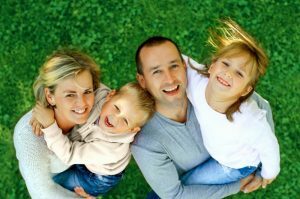 Comments Off on How Often Should I Visit My Family Dentist?